This book is for those who have some knowledge of optics, but little or no previous experience in interferometry. Accordingly, the carefully designed presentation helps readers easily find and assimilate the interferometric techniques they need for precision measurements. Mathematics is held to a minimum, and the topics covered are also summarized in capsule overviews at the beginning and end of each chapter. Each chapter also contains a set of worked problems that give a feel for numbers. The first five chapters present a clear tutorial review of fundamentals. Chapters six and seven discuss the types of lasers and photodetectors used in interferometry. 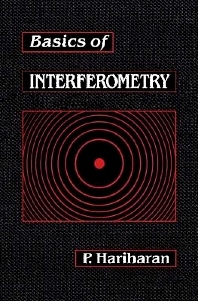 The next eight chapters describe key applications of interferometry: measurements of length, optical testing, studies of refractive index fields, interference microscopy, holographic and speckle interferometry, interferometric sensors, interference spectroscopy, and Fourier-transform spectroscopy. The final chapter offers suggestions on choosing and setting up an interferometer. Engineers, physicists, graduate students in physics and engineering, and optical technicians. Interference: A Primer. Two-Beam Interferometers. Light Sources. Multiple-Beam Interference. The Laser as a Light Source. Detectors. Measurements of Length. Optical Testing. Digital Techniques. Macro- and Micro-Interferometry. Holographic and Speckle Interferometry. Interferometric Sensors. Interferences Spectroscopy. Fourier-Transform Spectroscopy. Choosing an Interferometer. Index.